Option 1: An all in one site. The company gives you a ‘space’ on the internet, designs to choose from and in most cases a store through which you can sell your images. With these suppliers you need only buy your domain name (for example www.ninamacephotography.com) and you then pay a yearly or monthly fee to run the site. Option 2: You buy your domain name, you buy your own space on the internet (web hosting) and then buy a system which allows you to design your own site OR to buy a design template which fits over the top. The difference here is that you have a one off cost up front, and then a much smaller monthly payment for just your web hosting. If you want add shop or gallery function in most cases this comes at an additional cost. I know photographers who use both type of set up very successfully, but I made the decision to go with Option 2 so I could use Wordpress. My reason for doing this is I can then change my design templates at any point, and easily transfer my content from one design to another. With the ‘all in one systems’, if you decided you wanted to move to a new system, moving all your blog content and imagery would take time. Of course you can export the information (it is your content) but its likely to require reformatting etc. The disadvantage of working with all these separate providers is if you website goes down, it can be like following Alice down the rabbit hole to work out whether the issue is with your Wordpress account, host or theme provider! Option 1: All in one site. Hosting, design and back end store. Rolling yearly or monthly cost. 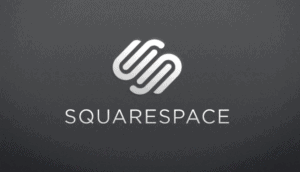 Squarespace, Wix, Zenfolio & Smugmug. Some options on Logo design if you yet to develop your brand. Most well known as a free site but does has a business package to remove the advertising. Also offering free Domain name for 1 year. Has a gallery & store function. Includes lots of design templates and customisable galleries. Scrolling sites available. Please note that as of mid May there is some concern about Zenfolio's mobile friendliness in light of Google's recent analysis that it takes this into account for SEO. This should be investigated in advance. £140 a year and you can trial for free for 14 days. Store links to Loxley so you can order product direct. Please note they do take a percentage of sales to send your orders straight to customers. Option to self fulfil has no charge. Option 2: Buy your own domain, web hosting, then build your own site using Wordpress as a base. One you have purchased your domain name (approx. £20 per year), found a web hosting company (For example Bluehost at $3.49 a month) you can install Wordpress (for Free) and then pick and choose a design system for your site. The 2 most popular currently are Prophoto and Elegant Themes. Option to add some very nice paid for designs. 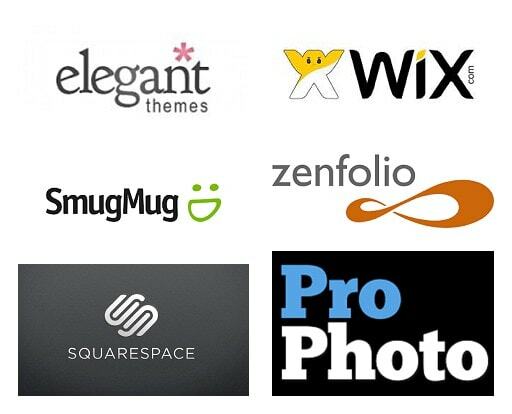 Option to integrate Zenfolio/Smugmug/Pixie set as your gallery and shop. One off payment of $199. A choice of 87 Themes plus access to all of the plug ins. Drag and drop design system. One off payment of $279. Option to also buy one theme for only $69 and if you like the system can then upgrade only paying the difference. Thank you so much for gathering all this information Nina, this is so useful and easy to understand! I am happy with the flexibility I get with my WordPress/Prophoto system at the moment but I am going to look into their new proofing module and see how well it would work for my clients to review their photographs, pick their favourites and place their order. That sounds great – let me know how you get on with it! This a fantastic blog, a really interesting read for people considering what to look out for. Overall I am very happy with Zenfolio, extremely easy to use and add new pages and content. Particularly like the client galleries too. Only negative, seems to be a lot of ghost traffic (ie spam) showing in google analytics. I am always adding filters and concerned that it affects SEO rankings. Haven’t heard a fix for that yet. I’m currently using wordpress with a very basic template and about to jump to ProPhoto on the wordpress platform… I’m reviewing the templates on offer as with the new Google criteria it’s imperative the site is fully responsive (available on mobile). My current template is mobile responsive but leaves something to be desired – it’s a free template so I’m not surprised!… Thanks for the info – I wasn’t aware of Elegant themes so will review them before I make the commitment! Really pleased you have found this useful Moira. I do really like the scrolling Elegant Themes set up and how dynamic it is for different devices. It resizes for ipad, ipad mini, plus mobiles. Thanks for this Nina. 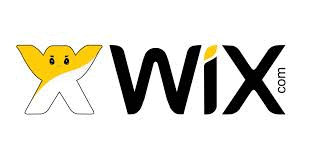 I’m looking around for a new system & specifically wordpress themes. There’s a lot to choose from once you go beyond the drag-and-drop eg. studiofolio, photocrati & thoe ones you mentioned. Anyone know an in-depth review ? Hi Laurence – I have looked around and haven’t yet found any detailed reviews. I did notice though that most systems offer you a 30 day free trial so this could be a way to view the system without committing up front? Great post Nina – I’m still a bit confused but your post has helped me start to understand. For an IT idiot like me is it easiest to do option 1 or 2? You’ve already mentioned the difference between option 1 & 2 but what are the pros and cons to each?